This Poster Holder Free Standing With Metal Pedestal with 30*22 metal pedestal for better stability, which can hold 40*60cm poster. It is prefect for trade shows, retail store, restaurants, office, school, and so on. A sign frame, such as this Poster Stand, design for fast and easy graphic changes, which is ideal for advertising store promotions, special sales or for promoting events! We try our best for the customer satisfaction, our team has strong experience in display structure design and surface treatment chosen can provide professional advice to customer. If you have other requirements about the product, pls feel free to contact us. Looking for ideal Floor Standing Sign Holder Manufacturer & supplier ? We have a wide selection at great prices to help you get creative. 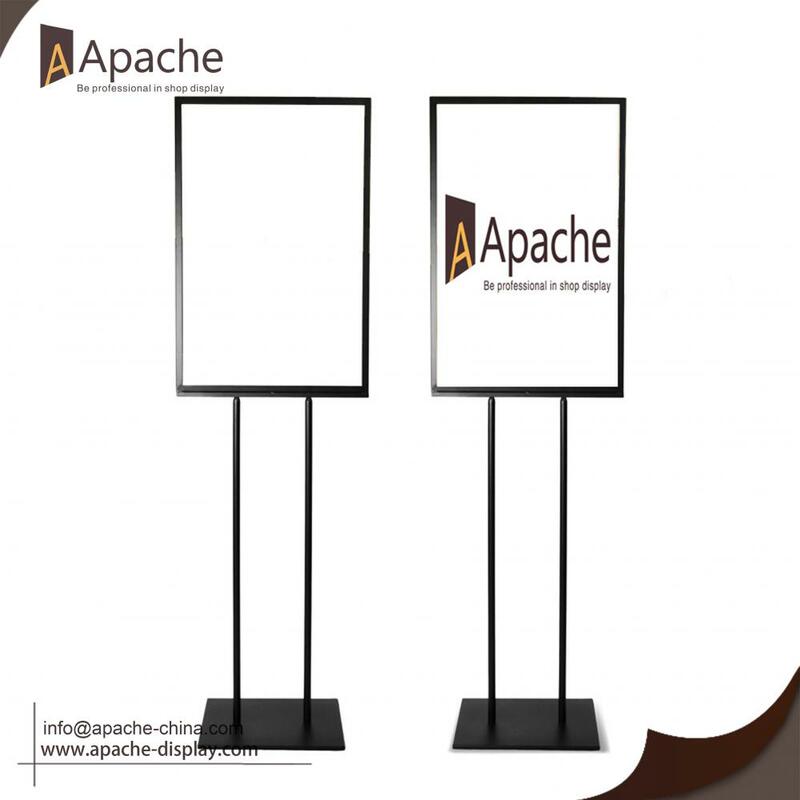 All the Poster Holder with Metal Pedestal are quality guaranteed. We are China Origin Factory of Metal Free Standing. If you have any question, please feel free to contact us.